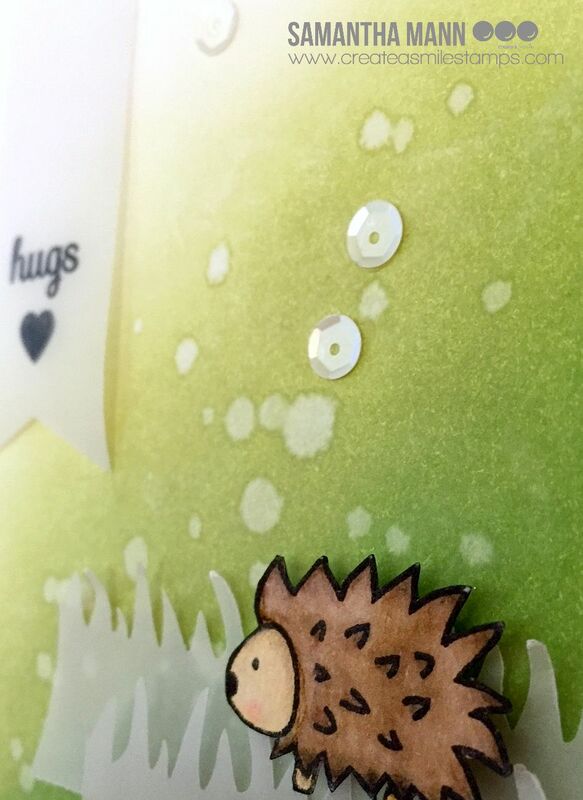 Samantha here, and I'm back to share a sweet little card with one of my favorite Create a Smile critters! To create this card, you'll need some distress inks and an ink blending tool! 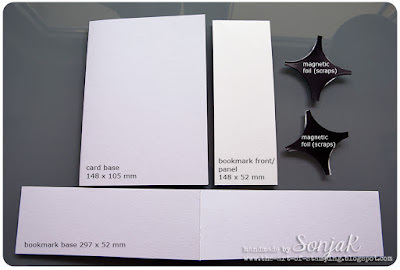 - on a piece of white card stock, add your distress inks to the background. I started with the lightest shade of green that I had (Shabby Shutters) and worked that out until it sort of faded away. Then I added the darker green (Mowed Lawn) with a light hand, and just toward the bottom. And finally, I blended out the darker green with the light green again! - once the blending was complete, I flicked on some water to make little light areas within the distressed/blended background! 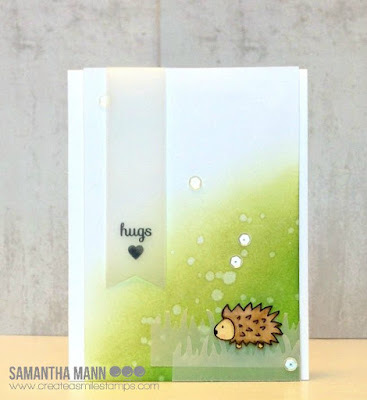 - i used a grass border punch with some vellum to ground the little porcupine. - lastly, I hand cut the long, thin vellum banner and stamped the hugs sentiment and heart! I used the ADORABLE Friends in the Woods and Your View stamp sets for this card! Distress Ink blending is my FAVORITE! I love doing it! 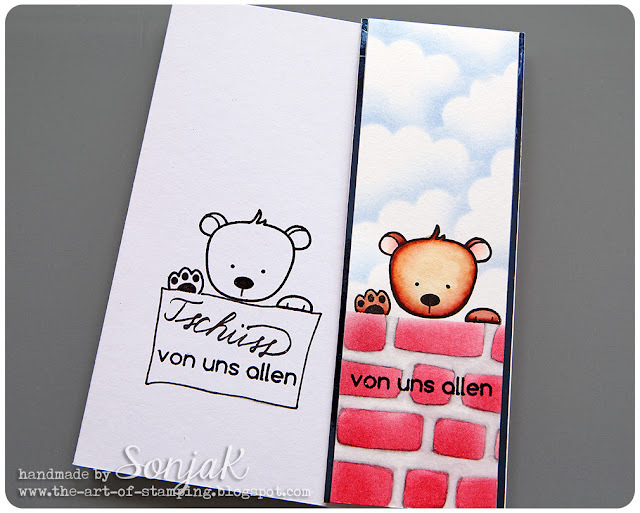 And you can create this similar card with different colors to create a set! You could also try to blend other ink brands (though, I haven't done it myself, I have seen videos of others using different inks and the results are also beautiful!). 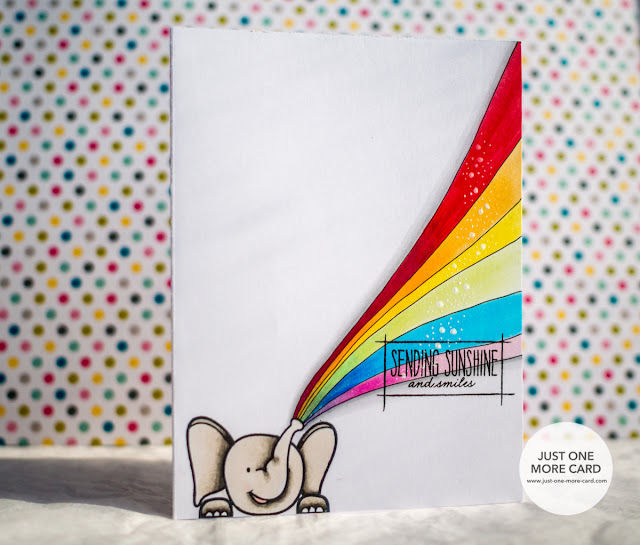 Have you subscribed to the Create a Smile Stamps YouTube channel? It's filled with amazing inspiration and product close ups!! Thanks again, for stopping by! I'm here to say a huge thank you and a sad goodbye to our Guest Designer Sonja Kerkhoffs , who shared amazing projects with you this month. I highly recommend subscribing to her blog The Art of Stamping - I'm constantly falling in love with her creations. They are just amazing! Hi! It’s me again, Sonja. 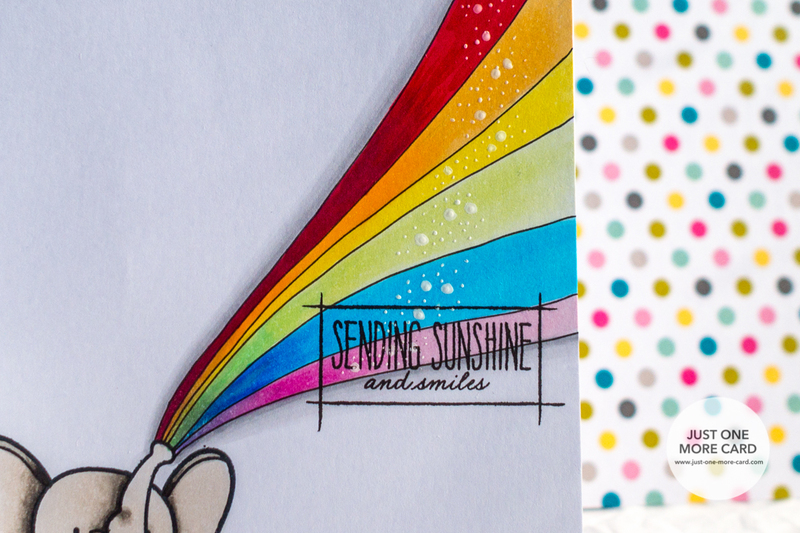 Today I’m sharing my last guest post with you here on the Create A Smile Stamps blog. I’m a bit sad that it’s already time to say good-bye but I hope you’ve had jus as much fun with my post as I had. 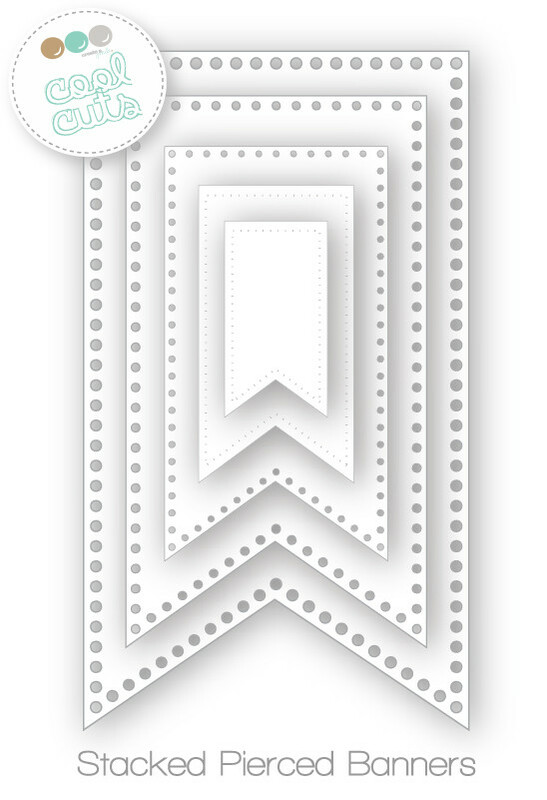 Today’s project is a clean and simple card with a little twist. My daughter’s starting school shortly, and at her kindergarten’s farewell party she and her friends, who’ll also be off to school, gave a coupon from a local bookstore to each of their teachers. I was asked to accompany these little gifts with matching cards. As my daughter went to the “bear’s class” I thought it was a good idea to use the bear from the new “Poppin’ Over” set for my project. And to make it an even better match I created bookmark cards to go with the coupons. When watercoloring think of using waterproof ink such as Archival or Versafine for your stamping so that the lines won’t smear when coloring. You can also heat emboss your image to prepare it for watercoloring. it's time for some inspiration by Julia Altermann again. Unfortunately this is her last post for her as our July Guest Designer and we LOVED all her work. To keep updated on her journey and enjoy all her creations make sure to visit her blog Just One More Card an subscribe to her Youtube Channel . Thank you, Julia, for 4 weeks of fun - we enjoyed it a whole lot! I used my pencil to draw in the area where the rainbow colors would go; I also used my pencil to divide up the area to make sure I could fit all the colors. Once I was sure about the placement, I used a Copic Multiliner to draw in the lines permanently. For the coloring, I used three shades of each color group to go from dark to light and then colored to my heart’s content. Work slowly. As with every clean and simple design, any errors will jump out. I know I tend to go outside the lines when coloring, so I took my time to make sure this wouldn’t happen. 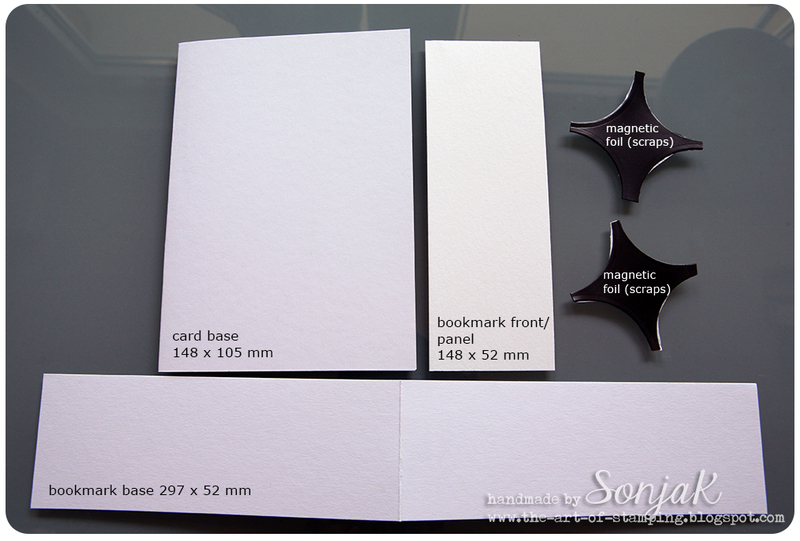 To add a dimensional effect to a one layer card, add gray to the outside of the “flag”. It makes it pop a little more. And for even more interest, find your white gel pen and add some dots. The always make a design more lively. We hope you loved Julia's project as much as we do and you make sure to connect with her and her work. Thank you everyone for taking the time to visit our blog! 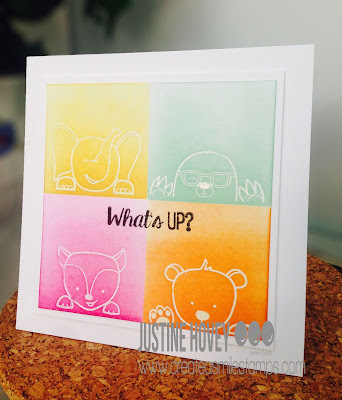 Justine here again bringing you another technique to use on your cards! I wanted to create a card where all of these little creatures would be looking out the window. I was thinking of cutting out a window but I decided to mask off some areas instead. Instead of my explaining, let me show you. It was really easy, I stamped and heat embossed the animals. Masked off each square and applied some colour. 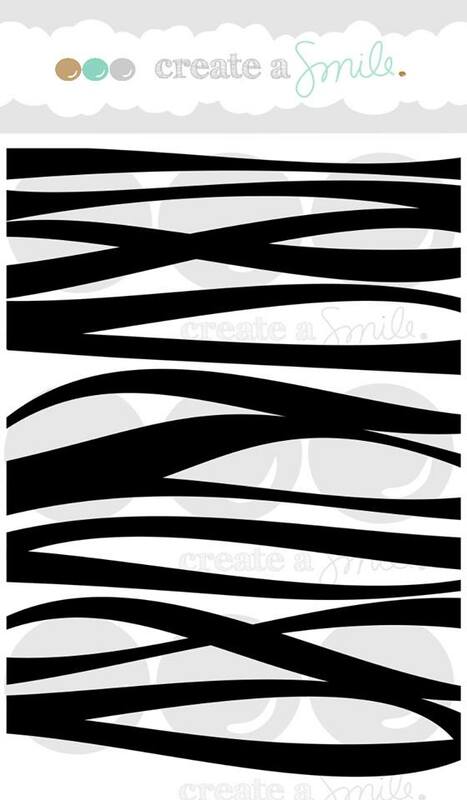 Don't forget to use your grid lines on your cutting mask to line up the squares you need to mask off. For a complete supply list, head on over to my blog. 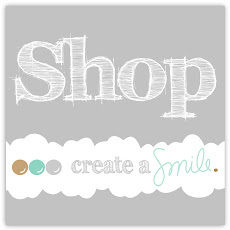 Create a Smile now has a Sale Section on the website - go see what kind of details you can snag! It's Kelly here and I've been playing with our dies again! I can't stop!! I've been really into sea and ocean sets lately and it's also been a bit since I played with building a scene so I started there. I felt like the largest banner die was a fun way to add my scene to a card . I die cut my banner out of plain white card stock and stamped part of the Wild Waters background stamp in tumbled glass to get my horizon line. I stamped it a second time to create a mask. Save both pieces! My adorable little sail boat was stamped and masked as well. I masked the water and blended some distress ink onto my sky. I used Tumbled Glass and Salty Ocean. You can't have an ocean scene without some Salty Ocean! I removed my water mask and added the sky mask. Careful here . . .If your distress ink is still wet your mask may not stick as well as it usually does. I blended on more distress ink. I used Chipped Sapphire, Mermaid Lagoon, and Salty Ocean. Your darkest colors should be at your horizon line. I stamped the Wild Waters again in Salty Ocean and once more with just water. I wasn't working on watercolor paper so I didn't add a ton of water but a little will still lift or bleach the color from your background without warping the paper. Remove all the masks. I colored the boat with copics and then used a few more copics to add some various lines in my water. It just makes it more interesting. Now the fun part! I added some waves and clouds that I think came out super cool :) I did it by tapping on some white acrylic paint using a stiff bristle brush. It looks like real water splashes doesn't it?! So Fun!! I added a few splashes here and there for interest. Once I stamped my sentiment and added a bit of Wink of Stella to the sail and water for some shine. I mounted the stamped panel onto my card base with dimensional adhesive over red and navy banners. Did you see we have a new SALE section? All kinds of goodies in there at discounted prices! Also there's only a couple days left to link up to our July projects in the side bar! How is everybody doing? Some of us are on vacation either at home or elsewhere. No matter where you are I hope you have a great time and find some time to squeeze in some creativity. Now over to today's card. 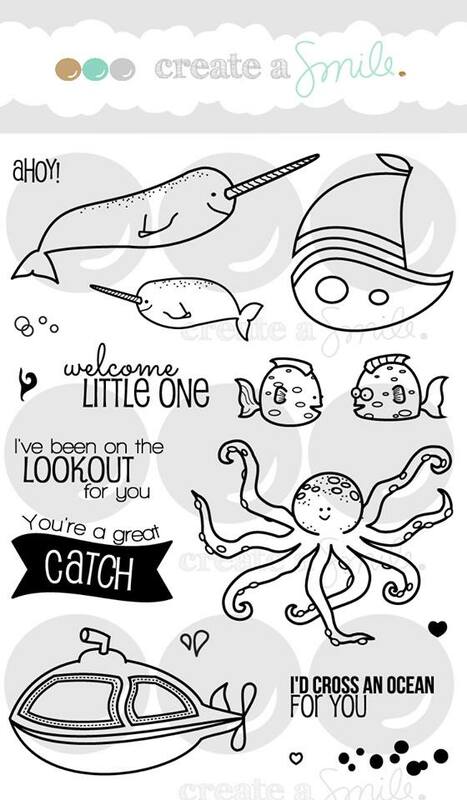 I mentioned earlier that I was in love with the Poppin'over stampset but I also love the Make a Wish stampset with all those lovely fonts and sentiments. So for this card I would like to focuse on this particular stampset. Again I choosed a white top folded cardbase. I started with a diecut out of watercolor paper with the largest banner. Stamped the Wild Waters stamp with versamark waterink and heat embossed it with gold embossingpowder. Did some watercoloring between the lines and let it dry. I stamped the wish word and fuzzy cut it. I stamped several stars from the set in the background and stamped the largest star onto translucent vellum and white heat embossed it. The sentiment upon a star is white heat embossed onto a black fishtail. I wanted to use a colour that I don't usually use as an inspiration but at the same time to make some boy-ish friendly card. 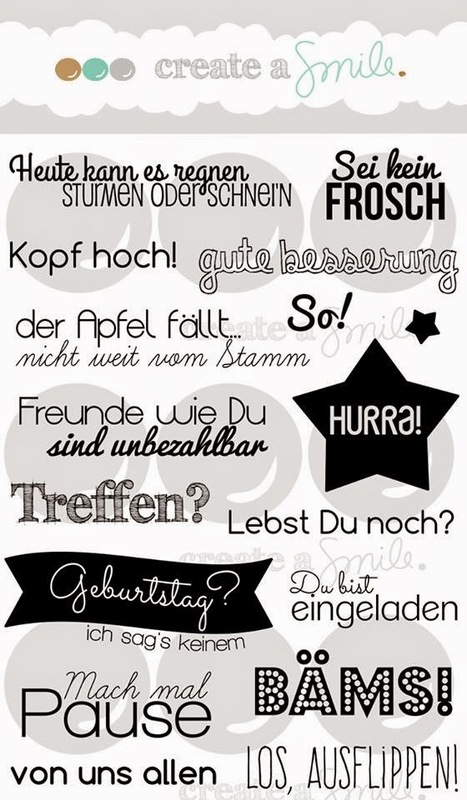 Surprise - Just for You! 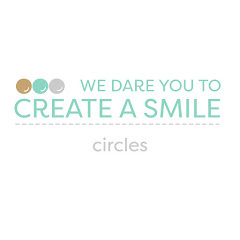 Create A Smile turns 1 - Celebrate with us!